Shani Pride has achieved great success as one of Hollywood’s talented ingénues. Since her breakthrough role in the movie One Special Moment, the actress has gone on to appear in many feature films and countless TV roles. Having starred in hit series such as CSI Miami, Weeds and cult classic Charmed, Pride is much in demand. Pride’s innovative approach to industry success is deeply holistic. The actor explains that the day is focused upon the individual’s purpose as an actor. She explains that she’s “walked the walk” and this is the approach that has enabled her to reach her own acting goals. The day is about giving people the tools and information to understand how to approach their acting career like a business. We get to the truth of who you are as a human being first and then expand beyond that, because that allows you to be able to handle rejection. Pride’s investment in the transformative power of drama has prompted her to make a documentary about artistic expression across the world. Having visited France, she is planning to continue filming throughout Asia and Africa, to explore how art can evoke a positive change in any community. 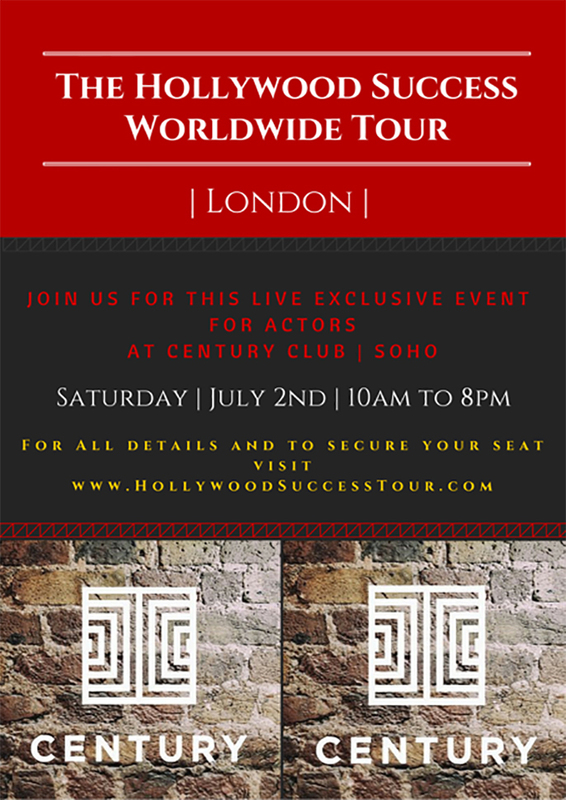 Info: The Hollywood Success Worldwide tour kicks off this Saturday 2 July in London. We have a special 2 for 1 ticket offer for Afridiziak readers – more information, here.